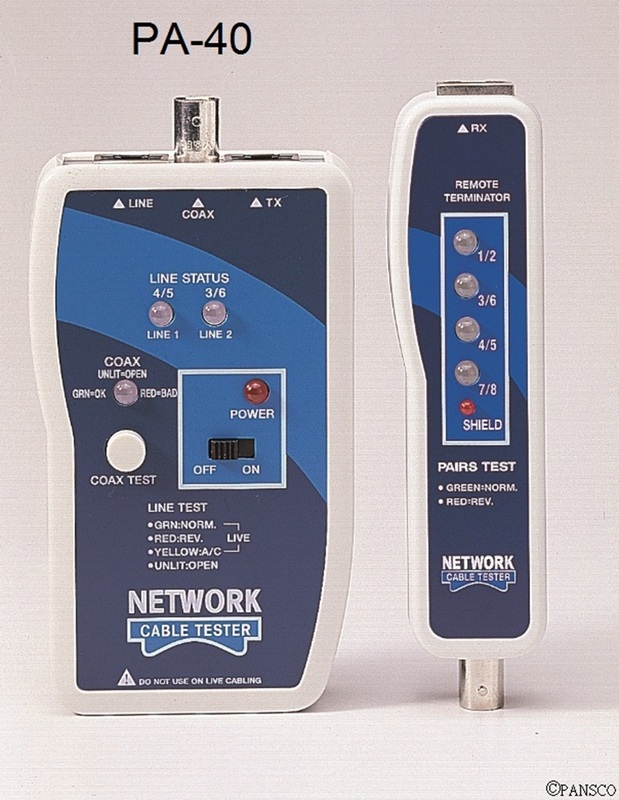 Tests both shielded/unshielded twisted pair and coaxial BNC-type network cables. Scans all wires for continuity, miswiring, and polarization. Dual-colored LEDs identify correct and reversed pairs. Remote unit lets you test installed as well as uninstalled cables. Line 1 and line 2 polarity testing; tip/ring testing. 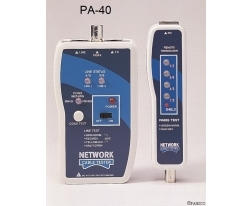 Line voltage tester helps prevent damage to the tester from live circuits.